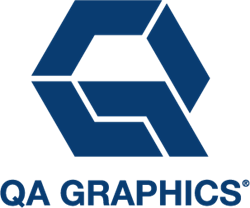 QA Graphics, a leader in the building automation system (BAS) graphic outsourcing industry, is celebrating its twelfth year of business. With over a decade of innovation and steady growth, the company has had the honor of working with some of the top players in the field. “From our small beginnings, we have grown every year with a strong commitment to continually improve on all our products and services. We stay on the cutting edge of design trends and provide our loyal customers with new and improved services every year,” said Dan McCarty, Owner of QA Graphics. About QA Graphics—QA Graphics is a leader in the building automation and green building industries. The company specializes in HVAC graphic development services, system graphics, floor plan graphics, and Energy Efficiency Education Dashboards™ (EEEDs). The company also provides custom marketing solutions such as interactive applications, 3D design and animation, UX design, videos, and more. Visit http://www.qagraphics.com to learn more.